By the way, Android market is very good place for looking for your software online. As I know, Microsoft is starting to prepare something similar to the iPhone App Store and Android Market. However the current situation is rather poor for Windows Mobile users. There is no central place to download the software. So, I have found several backup applications for my new HTC Hero with Android operating system. The synchronization with Google services itself is a backup tool too. As soon as you will add any new contacts, e-mails or events to calendar, the synchronization starts. If you don’t have an internet connectivity immediately, then the synchronization will be done later, of course. So using this, your basic data are backed up to the Gmail a Google Calendar. However this is not enough. 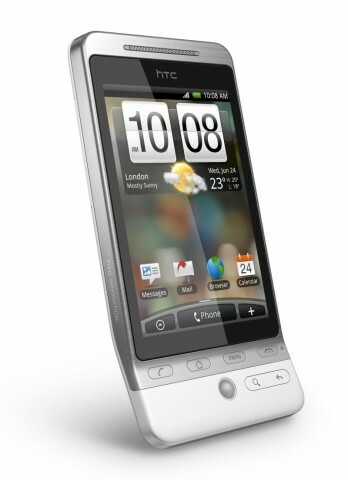 You don’t have to use the Gmail and could prefer another way to backup your HTC Hero or another Android powered phone. So what are the backup applications Android marketplace offers? Do you have a lot of SMS messages you wouldn’t accidentally delete or lost? Then try the application called SMS Backup. This software will backup all of your HTC Hero (or Android phone) SMS to the Gmail. At first, provide your username and password, then the software will inform you that the first backup needs to be initiated manually. So click the OK and Backup buttons and wait for a while. The SMS will be backed up using 100 pieces batch. Then you can set up Auto backup option. After you will log in to your Gmail account, you will see a new tag with SMS label. Another interesting software is MyBackup. This is a paid application, but you have 30days trial for testing purposes. So try before you buy. Using this software is very easy. Just start it, click the Backup button and select what you would like to backup from your HTC Hero/Android phone. You have two options: Applications or Data. If you select Applications backup, then you will be prompted with the list of all your application installed in your Android device. Click Check all (or manually select only some items) and continue with the OK button. Provide a name for this backup and wait for a while until the apps are backed up to the memory card in your device. The Data backup gives you another two options – SD Card and Online. I have used the SD Card option since I would like to see my backed up data. And again. You will be prompted with a list including Contacts, Call log, Bookmarks, SMS, MMS, System Settings, Home Settings, Alarms, Dictionary, and data from another installed applications. Check all, click the OK button, provide the backup name and wait for a while. The backup process can be scheduled and you can easily manage and restore from your previous backups. By the way, the online backup here is a very good idea. You can have your backup on the SD Card, but as soon as someone will stole you phone, you will lost this backup with it together. Astro File manager is another useful app for your Android device. It is something like Total Commander for Windows or Midnight Commander for Linux. This great freeware file manager has a backup functionality too. It is able to backup your application to the SD card. Click the Menu button on your HTC Hero device (or something similar on another phones), select Tools and tap the Application manager/Backup option. The Astro will load the application list. Select one, more or all of the applications and click the Backup button. Your software will be copied to the SD card. Do you have another tip for Android backup application? Let us know using the comment below this article. I’m sure all of the readers will appreciate this. And just a note at the end. If you would like to see what is in the Android Market using your desktop web browser, go to the www.cyrket.com. It is and Android Market Browser available for everyone.